29.9.2011 /// The splitimes from both distances are available here - Saturday and Sunday. 27.9.2011 /// Watch Czech TV videos about saturday and sunday world cup competition! 25.9.2011 19:45 /// More and more photos in section World cup in pictures. 25.9.2011 14:15 /// Look at first todays photos. 25.9.2011 13:55 /// Womens results published!. Split times are here (ordered by todays times). 25.9.2011 12:51 /// Mens results published!. Split times are here (ordered by todays times). 25.9.2011 9:39 /// World cup middle in pictures!. 25.9.2011 8:30 /// Important links are same as yesterday. Online split times and results are available here. Online transmission from the competitions starts at 9:25 here. GPS tracking can be followed here. The 25 best runners in women and men category run with GPS device. 24.9.2011 17:26 /// First serie of photos from today world cup competition you can find here. 24.9.2011 15:33 /// Mens start list for tomorrow published! 24.9.2011 14:23 /// Mens results and split times published! 24.9.2011 13:49 /// Womens start list published! 24.9.2011 12:37 /// Womens results published! Available are also split times. 24.9.2011 /// How to follow the competition online? Online split times and results are available here. Online transmission from the competitions starts at 9:45 here. GPS tracking can be followed here. from 10:35 (women) and from 12:35 (men). The 25 best runners in women and men category run with GPS device. 24.9.2011 /// Some photos of model event are here. 23.9.2011 /// World Cup start lists published! 22.9.2011 /// Links to online video streams you can find here: middle, long. 21.9.2011 /// Bulletin 4 was published. It can be downloaded in the section Bulletins. 20.9.2011 /// Do you want to know how to "read" the World Cup competition map? Check the advice of map maker Ivoš Habán - "How to read the World Cup Competition map?". 19.9.2011 /// The updated information about training possibilities are available here. There are prepared 3 official trainings close to Liberec. 14.9.2011 /// The old orienteering map of World cup - „Císařský kámen“ - can be downloaded here. 12.9.2011 /// The printed Programme for the World Cup in Liberec with the forewords of organizers, partners, coaches and also athletes was published. You can find there also updated programme for the World Cup as well as National competition, map of the Competition Centre and much more. It can be downloaded here. 8.9.2011 /// Who is coming to Liberec for the World cup? More about the National teams can be found here. 31.8.2011 /// The deadline of Nominal Entries and the payment – 4th September- is approaching. For the entries please use the Nominal Entry Form and send it by email to – info@owcliberec2011.cz as soon as possible. 30.8. 2011/// We have asked several best world o-runners whether they are ready for competing at the World Cup in Liberec, if they prefer middle distance to long distance and also how much they favour chasing start. Here are their answers. 30.8. 2011/// More tips for accommodation during World Cup in Liberec can be found in Accommodation. 22.8. 2011/// Photos from competition area of Middle and Long Distance are available in Photos. 28.7. 2011/// Bulletin 3 was published. It can be downloaded in the section Bulletins. 3.7.2011 /// Current status of entries can be found in the section Entries. 27.6. 2011 /// The Invitation for Public competitions was published. It can be downloaded in the section Invitation. 27.6. 2011 /// The last day of preliminary entries is over. These countries have so far entered for World Cup in Liberec 2011 – Austria, Belarus, Croatia, Czech Republic, Denmark, Estonia, Finland, France, Germany, Italy, Norway, Slovenia, Switzerland, Slovakia and Sweden. 16.6. 2011 /// The poster for the World Cup in Liberec 2011 has been created. You can see it in the Media section (To Download). 14.6. 2011 /// The website countdown timer shows that there is only 100 days left before the start of the World Cup in Liberec 2011. 14.6. 2011 /// Do not wait with your entries to the last moment and send them today. Tomorrow is the last day for the Preliminary entries. 26.5. 2011 /// If you would like to stay during the World cup in Liberec in Hotel Arena do not wait with the booking till the last moment. Please book your accommodation in Hotel or hostel Arena until the end of June (www.hotelarena.cz). 25.5. 2011 /// The deadline of preliminary entries – 15th June - is approaching and we are still missing a lot of entries. 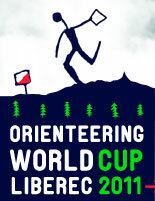 Please use the PRELIMINARY ENTRY FORM and send it by email to – info@owcliberec2011.cz as soon as possible. 26.2. 2011 /// The World cup in Liberec will be held under the auspices of the President of the Liberec Region Mgr. Stanislav Eichler. 11.2. 2011 /// For the preliminary entries (deadline is 15th June 2011), please use the PRELIMINARY ENTRY FORM and send it by email to – info@owcliberec2011.cz. 27.1. 2011 /// The newly published Special Rules for the 2011 World Cup in Orienteering confirm that both the spectators and the athletes can look forward to the long distance chasing start on Sunday, 25.9.2011. 25.7.2010 /// Bulletin 1+2 was published. It can be downloaded in the section Bulletins. 14.6.2010 /// The official web of O-World Cup Liberec 2011 was launched. For online transmission follow this link.